Generation Rx put on the second annual opioid awareness walk this past Thursday. 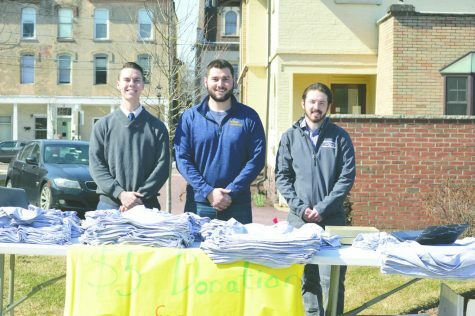 This walk is one that many Wilkes students attended, and many donated to support the Wilkes-Barre area fire department and their naloxone treatment program, this includes both the doses and rehabilitation. According to Dylan Fox, 2020 PharmD candidate, 55 people participated in this walk. Dylan Fox led the participants in a moment of silence for opiod-related deaths. 55 students walked from the Fenner Quad. to Kirby Park. The opioid crisis is currently an issue locally throughout northeastern Pennsylvania and the rest of the United States. These impacts help to ensure that there is a place for people to have knowledge of where to go. To also realize that what they are going through is something that is valid. That many people are willing to help and listen. Student coordinators Cody Morcom, Dylan Fox, and Harrison Ferro stand with the table of t-shirts for participants. The walk accepted $5 donations for naloxone for the Wilkes-Barre Fire Department. The organizers of the walks shared their thoughts on the word “overdose” and how they believe this has been reduced to a stigmatized word. Since they believed this is a stigmatized word, they want a focus on overdoses as a disease. This is a disease that affects not only the person that it is directly affected but also those who are around them. 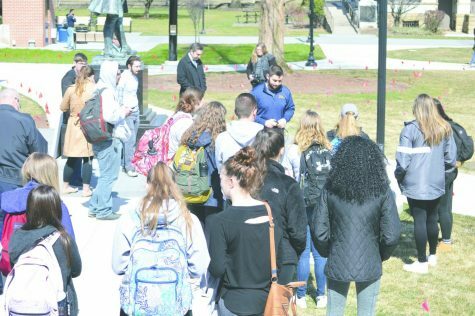 This is why Wilkes University’s campus came together for this awareness walk. Fox elaborated more on why this walk, in particular, is necessary for the Wilkes campus. This walk, through Wilkes-Barre’s Fire Department, accepted donations for naloxone. There are also resources available on campus to students and community members struggling first or second hand from opioid issues. This includes counseling available in Passan hall, local Narcotics Anonymous meetings, and Al-Anon meetings. Scheduling for counseling at Passan Hall can be done by calling 570-408-4730 and scheduling an appointment or visiting Passan in person. 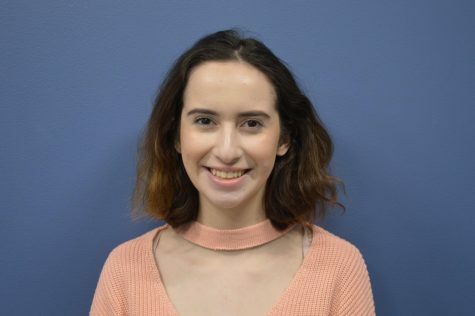 Passan also offers a support line which can be reached by students in the event that the health and wellness services are not open at 570-408-2428. Local Al-Anon and NA meeting times can be found through a google search with your zip code.